Vehicles and transportation equipment. The rule regulates vehicle and transportation equipment to ensure that food does not become unsafe in transit. Transportation operations. The rule regulates processes to ensure food safety is maintained in transit. This includes temperature controls and prevention of cross-contamination. Training. The rule regulates the training of individuals – and documentation of that training – who are involved in the sanitary transportation of food products. The FSMA is considered to be the most sweeping piece of food safety legislation since the Food Drug and Cosmetic Act of 1938. As stated above, the Act’s focus is on preventing food safety problems before they develop. The Act is implemented by the FDA and contains guidelines related to five major elements: preventative controls, inspection and compliance, imported food safety, response, and enhanced partnerships. Prior to the Act’s passage, the FDA needed “credible evidence” to trigger a recall. Now they need simply a “reason to believe” that public health may be compromised based on the absence of preventative measures anywhere along the food supply chain. This slight wording tweak makes all the difference. It means that you and your logistics providers along the country's food supply chain must be able to quickly trace the source and final delivery point of food products. During the many years it took to formulate the FSMA, the FDA sought input from food companies. As a result, the rule was revised to allow shippers to define the requirements for food storage and transportation. We have revised the rule to primarily place the responsibility for determinations about appropriate transportation operations on the shipper (e.g., whether food needs temperature control for safety, what the relevant operating temperatures and mode of temperature monitoring are, whether particular clean out procedures are needed, and whether previous cargo must be identified). The shipper may rely on contractual agreements to assign some of these responsibilities to other parties, such as a loader or carrier, if they agree to accept the responsibility. We believe the shipper is in the best position of the parties covered by this rule to know the appropriate specifications for transport of its food. Translation: the government won’t dictate to you WHAT needs to happen to ensure safe food transport; only that you, as the shipper, need to define the plan and follow it – or else. For the first time, the FDA has a legislative mandate to require comprehensive, prevention-based controls across the food supply chain. That means every food shipper will need to create a written Food Safety Plan. Plan development should be led by a person certified in the Hazard Analysis Critical Control Point (HACCP) food safety management system, the recognized global standard for preventative food safety systems. Multiple HACCP training/certification programs are available and the training is typically two days. Food Safety magazine did a nice summary of the requirements of food safety plans. The FDA requires that the plan be updated every 3 years, or when major changes take place, but it’s wise for affected businesses to revisit their plans every 6 months or so. While shippers are largely responsible for defining what constitutes safe practices for food handling and transportation under the FSMA, the FDA will use the Act to hold companies accountable. Facilities are inspected in 5-year cycles, with high-risk facilities inspected more frequently. Inspections boil down to one question: What did you do to get the product from point A to point B successfully, safe, and clean? For years, the last-mile segment of the cold chain was deemed inconsequential to safety compliance due to the short transit time. But that segment is now seen as an important and vulnerable link in the cold chain that must be monitored. For the first time, the FDA will have mandatory recall authority for all food products. The FDA expects that it will invoke this authority infrequently because the food industry largely honors requests for voluntary recalls. To meet the Food Safety Modernization Act's record keeping and lot-tracking requirements, all food processors must be able to track and trace products across the entire lifecycle—from source to finished product. And that information needs to be available fast. If a product is identified as linked to illness or disease, the FDA wants to know – within 24 hours – where 100% of those products are. Manufacturers often want this information from their 3PL within a few hours. The right WMS system can handle this traceability requirement and help prevent a tainted product from reaching the store shelf. But shippers should confirm with 3PL partners that their systems are, in fact, capable of providing adequate recall response capabilities. The WMS also needs to trace individual products that may go through a reconfiguration process during distribution. For instance, products may be combined to create new SKUs that consist of multiple units within one new package. If one of these individual units is found to be problematic, the system must be smart enough to deconstruct the co-pack process to isolate these units. Ultimately, tracing products in response to a recall is a data management challenge. Manual, reactive processes are inadequate. Shippers must rely on systems to automate and speed the process of identifying and tracking problem products and ingredients. Training is a necessary requirement of the FSMA. You are responsible for training all associates in the elements of the food safety plan that directly affect them. And evidence of this training must be documented and available for inspection. Basic training applies even to temporary associates, such as those that may be used during seasonal volume surges. 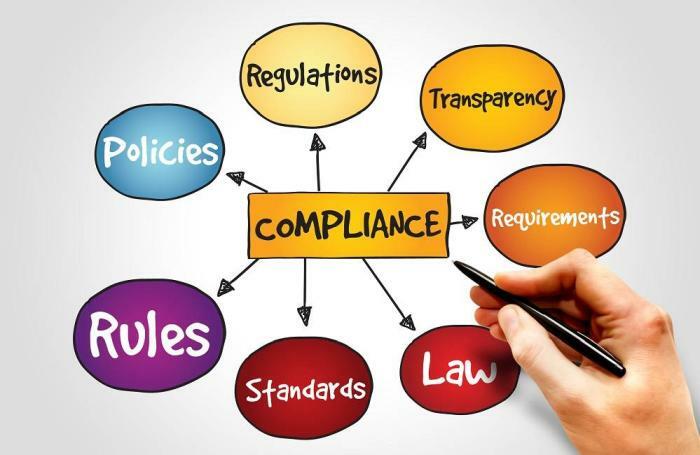 When it comes to longer-term associates, the goal should be to build a culture of compliance. Training starts at the top and flows down. For instance, someone in your organization may need to inspect a bulk container to see whether it meets sanitary standards. Adequate training and documentation must be available to workers who are making these inspections. That requires an FSMA point person in your organization who is competent to train personnel on the various aspects of compliance. Ideally, that person will be HACCP-certified. The biggest mistake when it comes to training on food safety is a myopic focus on procedural compliance. Associates need context. They need to understand the reasons for new work processes in terms of consumer safety and the potentially dire consequences of non-compliance. Only then will they recognize the importance of their individual roles in ensuring compliance. Under FSMA, shippers are expected to take reasonable steps to ensure that their suppliers are also in compliance. The documentation should reflect a chain of custody in which all ingredients, from farm to fork, can be shown to have been properly handled at each stage by each party. As a shipper, you must document a cold-chain of custody as well as the mechanisms you have in place to prevent contamination by shipping equipment. So, for example, trailer cleaning practices must consider the products that were previously transported in the van, and what will be transported in the next load. While shippers are primarily responsible and accountable for food safety along its full supply chain, many rely on third-party logistics (3PL) providers to act as extensions of their organizations. 3PLs must embrace this role and take compliance very seriously. The level of trust and communication between shipper and 3PL/carrier must be very high. To start, you’ll need to supply 3PLs and carriers with shipping requirements, in writing, for things like temperature ranges. On top of that, it’s important to ensure that 3PLs understand what they’re signing off on, and what is to be done in the event of a failure. 3PLs and carriers can be true allies in your efforts to comply with FSMA. But if you don’t have the right partners in place, it could create challenges in terms of ensuring that safety is maintained continuously throughout the cold chain. The FSMA increases the FDA’s authority. But the food safety focus has shifted sharply from REACTION to PREVENTION. That means everyone along the food supply chain, including internal and outsourced logistics operations, must adhere to certain sanitary practices and be able to prove that they have done so. The FDA’s approach to rule-making with FSMA has been anything but adversarial. The agency seeks a partner – not a Big Brother – relationship with the food industry. Companies that make a good faith effort to create a plan, educate associates on plan execution, and document preventative practices will be protecting themselves and helping to reduce the number of food-borne illnesses and deaths across the country.